Puchong, 6 May 2016: What fallout, you ask? What fallout, indeed? Instead of being so defensive over his decision to withdraw the police outriders he had been according to the ex-PM (and entertaining clowns like this), IGP Khalid Abu Bakar should now consider withdrawing police outrider services to not just ex-Prime Ministers but also other more undeserving/less deserving VIPs, including Cabinet Ministers, members of the Royalty and their consorts, Chief Ministers and Menteris Besar and their deputies and their consortiums, and Mayors. A lot of people up there have been abusing the cops this way and instead of attacking the IGP, we should be encouraging him to do more in the interest of the taxpaying majority. 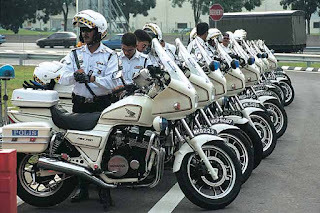 I say outriders should be assigned only to the Prime Minister and the Deputy Prime Minister, the Yang diPertuan Agong, selected foreign dignitaries, the Chief of Justice, and, perhaps, the IGP himself as and when they are on official assignments. And of course, as the practice is, for escorting vehicles transporting dangerous convicts from one point to another. that is why you will always be an idiot in my books rocky. merely being at the right place and at the right time with sufficient english got you where you are today. that is all. still cant write without word 07 and this i am sure. you do know that ex-premiers hold state secrets? im just leaving it at that. and i dont get the pot shot at surendran? he responded to what the igp said. whats your point? you owe english alot. you and the other two clowns who are obese but have an even sadder level of english than yours owe alot to english. Datuk, I agree! 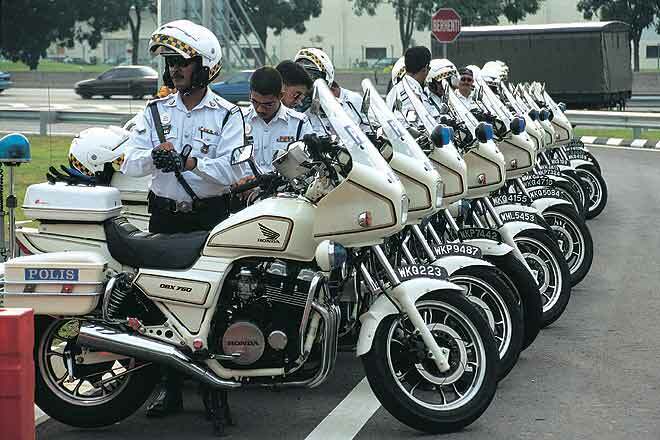 Outriders should only be for Agung,PM,DPM for the sake of their security. Nowdays, it seems the escorts are being used for convenience to get through heavy traffic or speed on the highway. Instead of being outriders, these policemen can be utilised better for patrolling and keeping our cities and towns safe. As a fan of yours, please do me a favor, Switch off the 'post a comment' section. What is most apparent about malaysian politics is the mutual disgust that ordinary folks have for both sides of the political divide. Hypocrites all of them. The fact that both are washing each others dirty laundry in broad daylight for all to see makes it even worse. Taxpayers ought not to be subjected to this childish nonsense.